The Los Liones Trail is a popular recreational trail located a few miles north of Santa Monica California, just off Pacific Coast Highway. 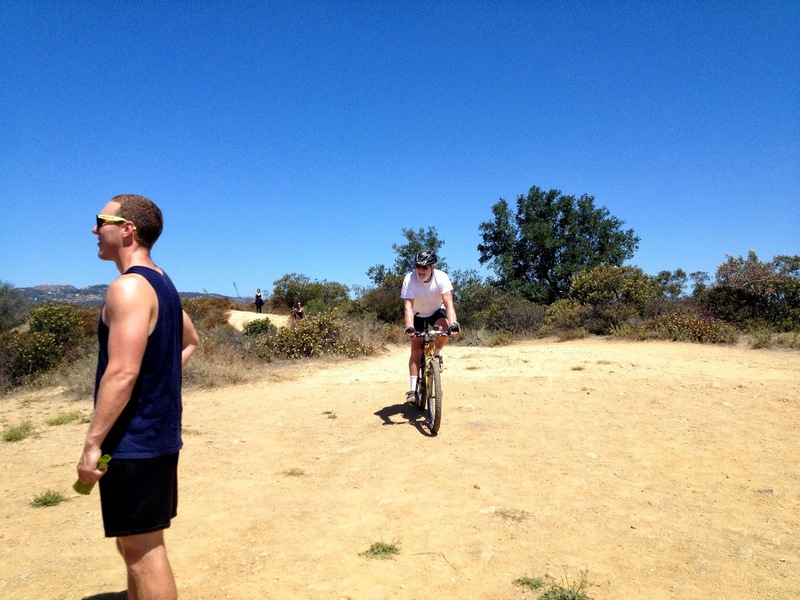 Most people use this trail to connect to the Paseo Miramar Trail and continue on to the Parker Mesa Overlook. From the locked gate on Los Liones Drive, you're looking at about a 7 mile round trip to the overlook and back. The first mile of the Los Liones trail is the steepest, but its shaded and the grade is relatively gradual. This section is a single track trail. After a mile, you'll come to the fork for the Paseo Miramar Trail. 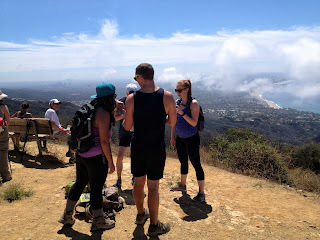 Make a left and continue uphill for an additional 2.4 miles to the Parker Mesa Overlook. The Paseo Miramar Trail is extremely wide and well-maintained. The trail is almost entirely uphill and there is absolutely no shade, so bring a ton of water. You will pass several small spur trails, but you can just ignore them. Just stay on the wide trail and follow the signs to the overlook.You may also see mountain bikers on this section of the trail, so keep an eye open. The overlook at the top is absolutely worth the climb. You can see all of Los Angeles and a stretch of beach south all the way to the hills in Rancho Palos Verdes. After a well-deserved rest, just turn around and head back down exactly the way you came in. For those of you looking for a really brutal hike, you might think about taking the spur off of Miramar trail for the E. Topanga Fire Road and heading north all the way to Eagle Rock. I’ve never personally done this section, so I can’t vouch for it. 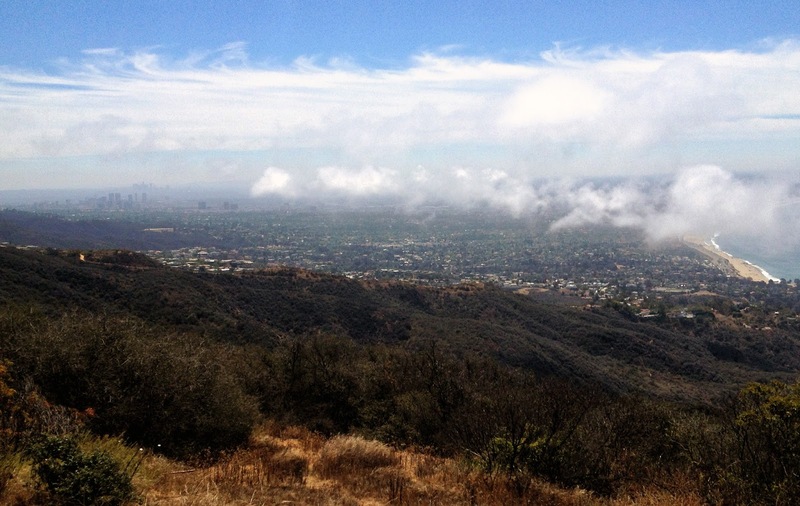 A round-trip hike from gate at the Los Liones trailhead to Eagle Rock is 14 miles.